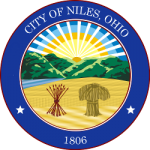 The City of Niles, in conjunction with Trumbull County, has established a fixed rate on natural gas. The fixed rate of $3.09 / mcf (thousand cubic feet) will be effective starting March 2019 through February 2022. Interested residents may contact Constellation directly at 844-809-6834. Questions or concerns may be directed to the Office of the Mayor.